It’s Been a Busy Year at SFForest! It’s been a year since the San Francisco Forest Alliance (SFForest) was formed by concerned individuals and members of community groups from across the city as an all-volunteer organization. 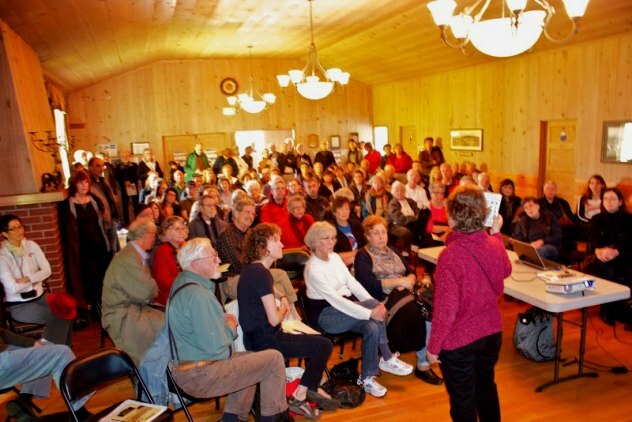 In November of 2011, SFForest held its first meeting. Since then, we’ve accomplished more than we would have thought possible. We constituted ourselves into a 501(c)4 not-for-profit entity, so we could take political action as needed. We have been working to inform people about what’s happening in our parks and to our tree-scape – the destruction of trees and habitat, the rising use of pesticides, the access restrictions to the public, and the skewed funding priorities of the San Francisco Recreation and Parks Department, especially the so-called “Natural Areas Program.” We stand against these environmentally destructive activities that ignore public priorities. In this year, we’ve put out thousands of flyers and posters, built two websites, and published about 100 articles on our blogs. We’ve helped save the trees of Jefferson Street that were to have been cut down without replacement in a “beautification” project. We’ve engaged with the community and with civic leaders, and spoken at relevant forums and at City Hall. We’ve launched two petitions that garnered nearly 3,000 signatures each, and built an energized base of supporters. We’ve interested the Press in these issues, and that’s resulted in a number of articles. Read on for the details. The Website and Blog.We’ve created an advocacy website to let people know what’s happening, and to fight against the destruction. In one year, we’ve published nearly 100 articles in this and a second site specific to Glen Canyon Park. We’ve distributed thousands of flyers and posters. We’ve created an email list of supporters. We’ve engaged the interest of the press. [Read about that HERE.] There have been articles in local papers, community newsletters, and national newspapers. Joel Engardio, one of the major candidates in the closely-contested District 7 race for supervisor, made opposition to NAP a platform issue. The Westside Observer included it as a question for the candidates. We engaged with all of the candidates in the Supervisor elections, sending out a questionnaire about these issues. We’ve made presentations about the problems caused by the Natural Areas Program to a number of community groups: The Miraloma Park Improvement Association; The Golden Gate Heights Neighborhood Association; The Greater West Portal Neighborhood Association; the Diamond Heights Neighborhood Association; the Sunset Heights Association for Responsible People, and the McLaren Collaborative. We also engaged with city leaders. We’ve met with Supervisors and with SFRPD leadership, with the Department of the Environment regarding pesticide use, and brought the issue before the Parks, Recreation and Open Space Advisory Council (PROSAC). We made funding of NAP an issue in the 2012 Parks Bond, and negotiated to have trails excluded from the Bond, except for Golden Gate Park and McLaren Park. “Trails” was used as a surrogate for work pertaining to the Natural Areas Program and actually involved closing more trails than they built. We’ve been speaking at various public hearings and forums and commenting on relevant actions of the city. The release of the Final EIR for the Natural Areas Program’s SNRAMP has been delayed until Spring of 2013 – perhaps due to our petition drive and the many additional comments submitted during the second opportunity we created for that. The planned 2008 Park Bond “trail restoration” project for Mt. Davidson (which we expect will mean felling a number of trees) has also been postponed until an unknown time. The Glen Canyon Park project involving tennis courts, the playground, and a grand new entrance to the Rec Center – and the felling of nearly 60 trees – has been delayed, as the appellant has appealed for a re-hearing. For now, no tree-felling has started. The Trails project in the Canyon has not been initiated, but a lot of clearing of the understory and trimming of trees along the planned trail is happening nonetheless. The few trees identified as hazardous by the city’s hired arborist still have not been addressed. We will be posting updates requesting involvement of our supporters as appropriate in these and other issues as they develop. 2 Responses to It’s Been a Busy Year at SFForest! Good to hear the Glen Canyon tree-felling has been delayed. Wondering about the so-called “trail restoration” for Mt. Davidson and exactly what they have planned for this park… You guys are great. Thanx for all your hard work standing up for our trees.